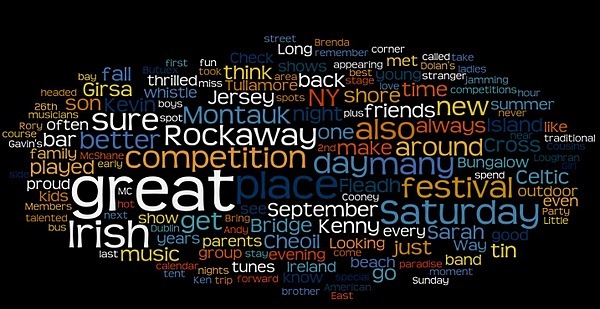 The ramblings of over developed opinion, provocation, and fun on all things Irish Americana/Celtic-Pop music related... decidedly from the New York point of view. Jammin' Reels from Tullamore to McLean Ave!! Celtic Cross is on Twitter!! Shores of America reviewed in Shite-n-Onions! Where To Hear Cool New Celtic Tunes? I've been meaning to write about recording with Larry Kirwan since December, and finally after receiving so many nice emails, I'm happy to congratulate Larry and Black 47 on their new CD, Bankers and Gangsters! Although I do not fall into the category of a banker or a gangster, I was flattered that, over a pint of Guinness, at Blackthorn in East Durham, Larry asked me to sing a duet with him on their new CD! "I'm looking for a sultry, sassy performance, with lots of attitude," Larry said, as we chatted away in the beer garden! Well, he knew I could pull off the sassy part, but I'm not so sure about the rest! So, after the weekend, we got together to work on "Wedding Reel" and were in the recording studio in Connecticut a few weeks later! "Wedding Reel" is not your typical Irish love ballad, but more of a real life song about a couple who have been together for many years and the romance has gone a bit stale, to say the least! "I'll find myself a young fella to keep me occupied, someone I can turn to in the middle of the night," she threatens in some of the spicy exchange between the pair! Her man is clearly more interested in watching the Late, Late Show and sippin' on his pint, and hasn't even noticed the new highlights in her hair! Can you imagine the nerve of the fella?! HA! We had a lot of fun with the ending of the track where we ad libbed the "banter" between us! There were many laughs and it was a great experience working with Larry in the recording studio!! It is a day I will always cherish! Thanks Larry! Thanks also to JGats, FSullivan and Bill Murphy for your emails about hearing "Wedding Reel" on Larry's Celtic Crush show on Sirius Radio, last week. 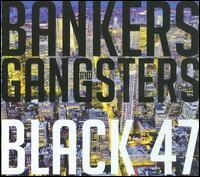 I haven't had a chance to listen to Bankers and Gangsters yet, but it is available in stores on March 2nd and online through www.black47.com! So be sure to download it!! I'm looking forward to hearing all of the new CD and as always, wish my friend Larry Kirwan and Black 47 much success!